5. Looking for a fast and easy way to remove cellulite before going out or to the pool? 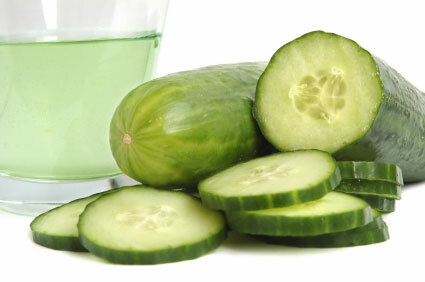 Try rubbing a slice or two of cucumbers along your problem area for a few minutes, the phytochemicals in the cucumber cause the collagen in your skin to tighten, firming up the outer layer and reducing the visibility of cellulite. Works great on wrinkles too! 12. Looking for a'green'way to clean your faucets, sinks or stainless steel? Take a slice of cucumber and rub it on the surface you want to clean, not only will it remove years of tarnish and bring back the shine, but is won't leave streaks and won't harm you fingers or fingernails while you clean.